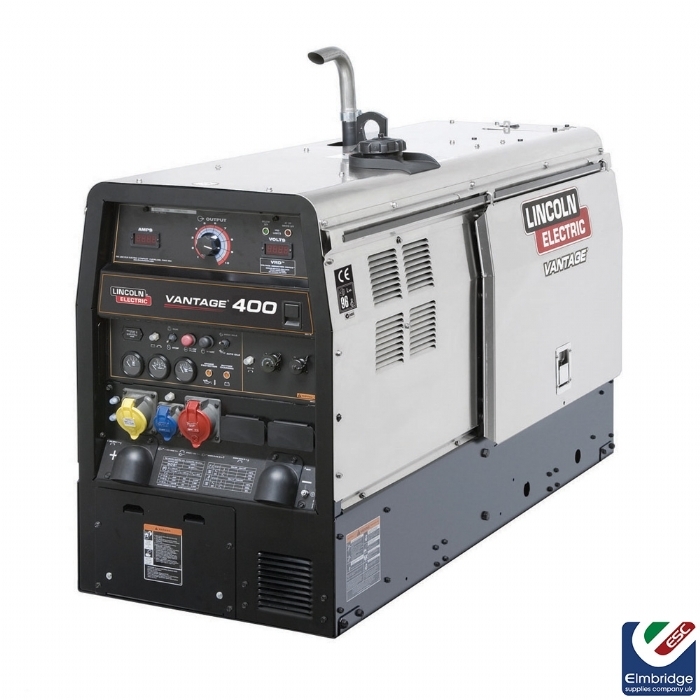 The Vantage® 500 CE is one of the most compact and powerful engine driven welders / generators in the construction, pipe or rental fleet market today. The Vantage® 500 CE is also one of the most quiet, with a smooth running 4-cylinder Perkins® water-cooled diesel engines. 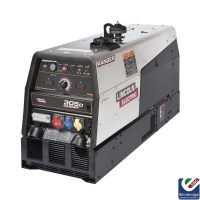 Use this multi-process welder for Stick welding with a large variety of electrodes, Touch Start TIG® welding, CV welding with shielding gas or Innershield® wires, and arc gouge up to 10 mm carbons. You will value the superior arc performance delivered by exclusive Lincoln Chopper Technology™. You will also appreciate VRD™ (Voltage Reduction Device™), which reduces OCV (open circuit voltage) in the CC-Stick weld mode for added safety. This model effectively generates high auxiliary power on 3-phase or 1-phase AC to power your lights, grinders, power tools, Inverters, etc. Last but not least, it is housed in a rugged, low maintenance stainless steel enclosure and loaded with many innovative service features. Last but not least, they are housed in a rugged, low maintenance Stainless steel enclosure and loaded with many innovative service features. Downhill pipe welding mode - Excellent for cellulosic electrodes. Built-in “hot start” for easier starts and restrikes. Plenty of AC 50 Hz generator power - 3-phase 400V / 1 phase 220V / 1 phase 115V.